The Grandstream GXP3275 IP TELEPHONE has the functions of 6 line IP multimedia, video conferencing platform and Android smartphone features. GXV3275 IP Phone can meet all office requirements which are important for communication because it has functions of next generation IP video conferencing phone solutions and advanced Android operating system. The Grandstream GXV3275 IP video phone for android keeps a powerful voice, video and multimedia communication for business to keep all users in touch within any company. This GXV3275 IP Phone is a 6 line features like tablet with touch screen and in addition to voice calls allows all workers to keep in touch with co-workers through an outstanding video calling platforms services in addition of all Android apps such as Skype, Google Hangouts, Viber and many more. This IP Phone allows to download all Android apps from Google play store, including all powerful apps. In addition this phone include integrated Bluetooth for pairing of headset and mobile devices for contact book, Gigabit ports, call transferring and many more. This GXV3275 also allow to all door access solutions through IP, this can be used to pair with third party door phones, SIP door openers or IP cameras to get access for third party persons. From a surveillance standpoint, this IP Phone can make and receive video calls from IP surveillance cameras for security alarms or for checking a camera’s live video feed. Support for HD audio (broadband) in the handset and speaker. Two switched 10/100/1000 Mb / s with integrated PoE. How can we help you choose your Telephony Products? We offers a full-range of Grandstream Dubai products to complement with your business communication needs and budget. If you are searching for Voip Gateway, PBX System, IP Phones, CRM Telephony Integration, we’ve got it covered. We carry all the Grandstream products including Grandstream PBX System, Grandstream Voip Gateway, Grandstream IP Phones, Grandstream Video Conferencing and Grandstream Conferencing Phones.Contact Us today to get best Grandstream Prices present in UAE. We know that different businesses have diverse needs in phone systems.We have good experience in dozens of Telephone systems and we can suggest the best for a variety of business types. We carry everything small business want in a telephone system. If you want a normal PABX SYSTEM or a full featured IP PBX SYSTEM we got you covered . We support you with supplying business telephone system and trained IT staff to support and maintain. The Grandstream GXV3240 IP Phone a 6 line video phone with the power video conferencing platform and the convenience of Android smartphone. The GXV3240 has Android operating system so user can download all apps by using Google play store. This IP Phone has 4.3-inch touch screen so can be used all major Android apps such as Skype, viber and many more. The Grandstream GXP2200EXT is a console for Grandstream GXP2200 and GXP2140 IP Phones. This GXP2200EXT comes with 20 lines. Moreover, the Grandstream GXP2200EXT supports up to 40 lines, with 20 that can appear at one time. Connect up to 4 GXP2200EXT modules to compatible Grandstream phones for a total of 160 extensions. Grandstream GXP2200 is made for advanced era and it’s the phone for future business. It has android 2.3 Operating system,Google play store can be used to download all applications. GXP2200 provides outstanding HD video quality which helps users to enjoy with all videos. This Grandstream IP Phone has advanced generation features and android based applications make it unique and most useful IP phone for business. 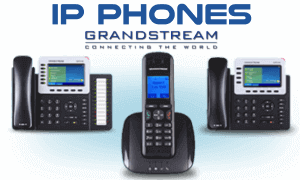 The Grandstream GXP2160 IP Phone is a 6 line SIP phone that has 4.3 inch colored LCD.The next generation Grandstream Dubai IP Phone is an enterprise grade VoIP Phone that is fully featured with advanced telephony technology and also customizable applications. It has 24 programmable BLF keys, Bluetooth, integrated PoE, dual Gigabit network ports, Electronic Hook Switch and 5-way voice-conferencing. The Grandstream GXP2140 is a great enterprise 4-line IP phone with advanced performance and functions. GXP2140 IP Phone has great features like Duel Gigabit Rj45 ports, TFT colored LCD and HD voice. Color LCD helps for easy use of its web applications which is already integrated.The Grandstream GXP2140 IP Phone is an advanced telephone system technology that also features customizable applications. The Grandstream GXP2130 VOIP Phone is a Linux-based standard phone that has up to 3-lines, 4 XML programmable soft keys, Dual Gigabit ports for network, 8 programmable BLF extension keys and 4-way for voice conferencing. It has a 2.8-inch color LCD and HD audio which allows to make outstanding calls. The GXP2130 comes with EHS (Electronic Hook Switch) support for Plantronics headset to allow for flexibility. This phone has currency exchange and weather apps. The GXP2130 is the great choice for users looking for a high-quality feature rich IP phone with advanced functionality. The Grandstream GXP1450 is a two VOIP account IP telephone system with HD LCD display with a 180×60 pixels and high-quality sound. The phone is Linux-based and includes 2 lines, 3 way conferencing and 3 XML programmable keys. GXP1450 has two network ports with POE, this IP Phone dedicated to medium and small sized enterprises with IP telephony. The Grandstream GXP1405 is a standard Linux-based model for small to medium business. GXP1405 IP Phone has 2 lines, 3XML programmable soft keys and 3 way conferencing. This IP Phone includes dual 10/100 M network ports and integrated PoE. This phone has multi-language and call waiting features.